Liquiflo is an international manufacturer of sealed and mag-drive gear pumps and centrifugal pumps. Since 1972, Liquiflo has manufactured high-alloy gear pumps and centrifugal pumps – designed specifically to meet the demanding needs of the chemical processing industry. Liquiflo gear pumps have handled acids, caustics, solvents, and polymer and have been successfully applied in many difficult pumping situations, including high-viscosity, high-pressure and high-temperature applications. Liquiflo offers 51 standard pump models and can even custom engineer pumps to meet your specific needs. Liquiflo pumps work best at handling difficult services, including high-temperature, low-flow and indefinite dry-running. Not only can Liquiflo pumps handle harsh fluids, but the gear pumps can also handle low viscosity fluids using a wide range of non-metallic, self-lubricating components. The benefits to the customer include increased uptime, high operational effectiveness and less frequent service requirements. In addition, Liquiflo offers custom assemblies, certified or custom drawings, Certificate of Conformance, Foundry Certified Material Test Reports, witnessed performance and hydrostatic testing, and custom tagging. Liquiflo’s conscientious and efficient manufacturing procedures ensure that quality products will reach the customer in the fastest time possible. Standard pumps, cartridges, kits and parts are typically shipped within 1 to 3 workdays. 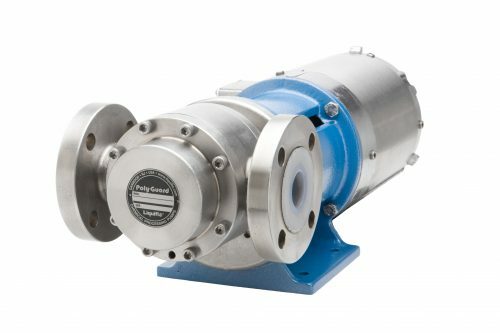 The H series pumps are heavy duty, high pressure gear pumps available in mechanically sealed, packing sealed, and mag-drive configurations with long coupled and close coupled options with NPT/BSPT, ANSI 150# flanged, and DIN PN16 flanged connections. The H series has a larger diameter shaft and bearings than the 3 Series, giving it the ability to handle higher pressures with extended service life. They are constructed with 316 SS or Alloy-C with component materials including peek, carbon, Teflon, and Ryton, in addition to the alloys, to meet your process flow needs. The 3 series is a standard duty gear pump available in long and close coupled with mechanical sealed, packing sealed, and mag-drive versions with NPT/BSPT, ANSI 150# flanged, and DIN PN16 flanged connections. They are constructed in 316 SS, Alloy-C, or Alloy-20 with component materials including peek, carbon, Teflon, and Ryton, in addition to the alloys, to meet your process fluid needs. The Max series pumps use spur gears and relieved wear plates providing smoother and quieter operation and intrinsic reduction of gear separation forces. 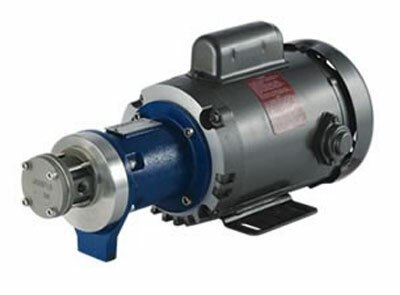 The design enables the pump to have an extended life in high pressure applications. Materials of construction include 316 SS, 17-4 PHSS, titanium, and peek. 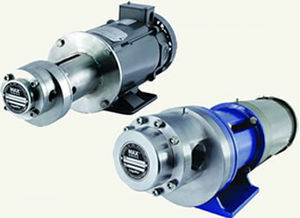 The pump is available in close and long coupled design with either single or double mechanical seal or Mag-Drive configurations using NPT/BSPT or ANSI flanged connections. The 4 series was design specifically for OEMs with low flow needs. They have a wide variety for the materials of construction to accommodate a wide range of chemical processing applications. A unique feature of the 4-Series pump is its parallel port connections located on the front of the pump. Housings are available in 316 SS, Alloy-C or Titanium and gears are available in Teflon, Ryton, and Peek in addition to the metal alloys. The 4 series is available in a close coupled, mag drive configuration with NPT or BSPT connections. The 2 series were designed for low flow applications. They are compact, rugged and capable to fit into many applications such as, chemical dosing and metering, pipeline sampling and waste water treatment. They are available in a close coupled, mag-drive configuration with a 316 SS housing with 316 SS, Alloy-C and peek gear materials. Centry pumps were created to solve maintenance problems with ANSI pumps operating at less than BEP in low flow applications. 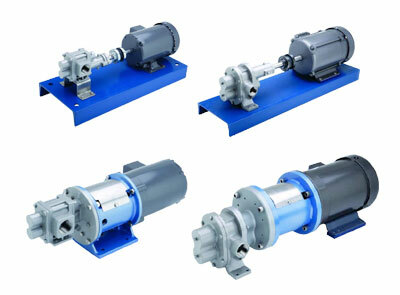 These pumps have excellent equipment reliability. They are close coupled pumps with mechanical seal, packing seal, and mag drive configurations and available in 316 SS and Alloy-C with NPT and ANSI 150# flanged connections. Endura pumps are Group I and Group II ANSI-Dimensional Magnetically-Coupled centrifugal pumps designed to handle many difficult pumping applications. 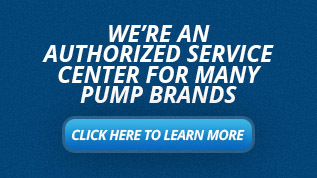 These pumps are capable of dry-running, pumping slurries, or high temperatures. They are available in 316 SS or Alloy-C constructions with flanged connections. 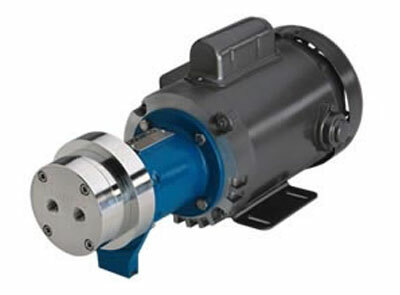 The MC is the standard ANSI mag- drive centrifugal pump covering a wide range of applications. The AB series uses the patented air barrier to seal the pump; it can run dry indefinitely and handle solids – something no other pump in the industry can do.